Rolls-Royce Ghost Coupe to Pack 600 Horsepower? New luxury coupe could get supercar levels of power and emerge as the quickest Rolls-Royce in history. 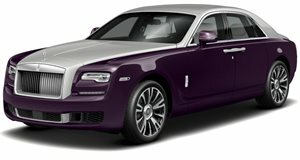 A Rolls-Royce is not a performance vehicle. It&apos;s a luxurious grand tourer. Until a few years ago, Rolls listed the output of its engines as "adequate" or "more than adequate". But the next model from the Spirit of Ecstasy marque could stand to break that particular mold. That model could be the coupe version of the Ghost sedan. Tipped to revive the Corniche name, the new Ghost coupe will carry the same 6.6-liter twin-turbo V12 engine as the sedan, but instead of 531 hp, we could be looking at 600. To put that into perspective, consider that the Ferrari 458 Italia has "only" 562 horsepower. The Mercedes-Benz SLS AMG has 571. McLaren gave the MP4-12C 592 hp before increasing it recently to 616. In other words, the Corniche could be getting veritable supercar power. Of course the Ghost coupe will also be considerably heavier than any of those performance-oriented sportscars, with an emphasis still on luxury and an eight-speed automatic transmission. But as it is, the Ghost sedan runs 0-60 in about four and a half seconds. With more power and less weight, could the Ghost-based coupe be the first Rolls-Royce to break into the threes?